The Russian Strategic Missile Forces successfully tested on Tuesday an RS-12M Topol Intercontinental Ballistic Missile (ICBM), the Defense Ministry said. The launch was aimed to test an advanced version of warheads installed on Intercontinental Ballistic Missiles. According to the Ministry, the launch was conducted from the Kapustin Yar testing range in southern Russia. The warhead hit the designated target at the Sary-Shagan testing range in Kazakhstan with the desired accuracy. The statement added that the parametric data obtained during the test will be used in the development of perspective means of breaching the “enemy” missile defenses for use in Russian ballistic missiles. 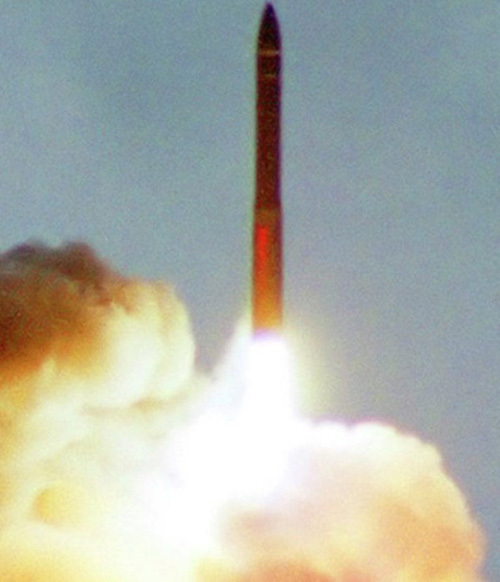 The RS-12M Topol (SS-25 Sickle) is a single-warhead intercontinental ballistic missile, which entered service in 1985. It has a maximum range of 10,000 km (6,125 miles) and can carry a nuclear warhead with a yield of up to 550 kilotons. Last week, the Russian military test launched solid-fuel mobile ICBM RS-24 Yars (NATO reporting name SS-27 Mod 2) equipped with a multiple independently targeted reentry vehicle.